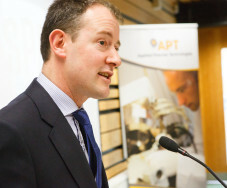 The Applied Polymer Technology (APT) Gateway at Athlone Institute of Technology (AIT) was opened by Minister for Research and Innovation, Seán Sherlock TD, as part of an international plastics conference attended by over 100 delegates.APT (Ireland) is part of an Enterprise Ireland-funded nationwide network of technology gateways, designed to deliver technology-based solutions for companies in Ireland. 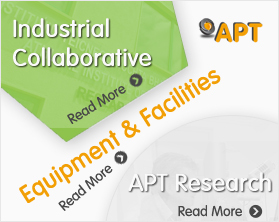 According to APT (Ireland) manager, Dr Seán Lyons, “The research centre will create practical and pragmatic solutions to the problems facing the plastics industry, which includes sectors as diverse as medical devices, pharmaceutical, automotive, packaging, renewable energy, construction and recycling. The All-Ireland New Technology Forum and Society of Plastics Engineers annual conference is co-hosted by Athlone Institute of Technology (AIT) and Waterford Institute of Technology (WIT), in association with IDA Ireland, Enterprise Ireland, Plastics Ireland and IBEC. The conference, entitled “From Convergence, via Translation, to the Bottom Line – Building Plastics into the Future”, provides regional Irish industry with a unique networking opportunity with global industry leaders to explore new routes to higher profit margins through niche technological advances and new, sustainable, higher value market opportunities. The Conference was organised by Dr Seán Lyons, Dr Declan Devine & Dr Austin Coffey.